Looking for answers? Well I have them here. I will help you find them and much more. Give me a call and we will get started. I'll be Waiting to hear from you. Life is never black or white and answers are not always yes or no. Sometimes a yes is dependent on the path you are taking. Have you ever wondered where life is going to take you? Of course! Everyone has. With questions like, Am I going to get that job? Is your significant other really the right one for you? Will I get the money I need to pay the bills? The cards know and I am proficient in reading them. If you're looking to know if you and you're significant other will work things out? The outcome can be changed by your or their actions along with the knowledge you have gained. Remember you have the power to change any reading. You can change an answer to question from a yes to a no, may very well change no into yes knowledge is power. I have a variety of Tarot decks and the skills to utilize them in order to get you the answers you seek. I also have a variety of tools at my disposal and the skills to utilize them in order to get what you're looking for. I use Tarot, crystal energies, and numerology as part of my repertoire. I am also a skilled life coach, a Reiki master, psychic healer and Am Fm Radion psychic radio host along with podcast. I'm the one the psychic come to for healing and answers. I can use energies to do a remote healing as well. The only promise I make is the truth. Good, bad, or ugly, I will always tell you what you need to know, and not what you want to hear. I will tell you what the cards show have in store for you. I am not one to sugar coat the truth and I never will. Honesty is always the best policy. I will not only tell you the answer you seek as your path predicts it, but also make you aware of the obstacles in your path that are hindering you from attaining your goals. It is my goal to empower you with all the information available to help you find the right path. If you are open minded to what the cards have in store for you, and you are prepared to hear nothing but the truth, give me a call. The answers you seek are out there, and I have the tools to help you find them. I have been doing this for 15years professionally. Born with the gifts 5th generation on both my mother and father side of the family. What I see is real and I will only tell you what I see. Nice fresh energy around Journey and clear, quick readings. Will call again. The conversation was good. Very fast and detailed. Predicated my ex will reach out in three days. JourneyRyan has been a user of Keen since 2013. 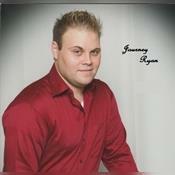 Getting Tarot Readers advice from JourneyRyan through www.keen.com is safe, secure and confidential.